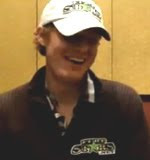 Felt Stars, one of the top poker sites on the Merge Network, announced that they are hosting a Free WSOP Tournament on May 2nd, 2010 at 6pm Eastern. The Free WSOP Tournament will award an $11,000 World Series Of Poker 2010 Main Event Package to the winner, with an additional $1,000 in cash added to the player prize pool. The WSOP Freeroll is open to all registered FeltStars Players that have made a minimum $25 deposit or reload from March 15th through April 30th, 2010. The free roll will be coupon entry only for those eligible players. FeltStars is also offering a $1,000 cash prize to the affiliate that is tagged with the winner of the Free WSOP Tournament.